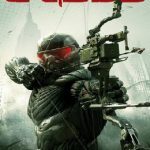 Crysis Warhead isn’t an ordinary shooting game for PC as this is packed of adventure and action. It belongs from the popular series of Crysis games, which are developed and designed by Crytek Budapest and Electronic Arts published it. Crysis Warhead refines and updates the gameplay of its original version through a side-plot parallel. The story revolves around Sergeant Michael Sykes A.K.A Psycho, an ally of the Crysis protagonist Nomad as he faced his own challenges and trials on the island’s other side during the first game. Crysis Warhead features fully customizable vehicles, enemies, and weapons along with the new multi-player content. It also shows a new, optimized, and enhanced version of CryEngine 2. It is also the first game that was created by Crytek Budapest studio. The different futuristic weapons of Psycho build on those that were seen in Crysis, with an introduction of mini SMGs that can be a 6-shot grenade, dual-wielded launcher equipped with EMP grenades. The short ranged, destructive PAX or Plasma Accumulator Cannon. 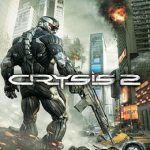 Aside from a single-player campaign, Crytek also focused on multiplayer modes called Crysis Wars. Crysis Warhead also comes with Team Instant Action mode and twenty-one playable maps. 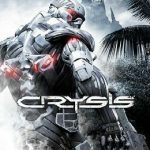 Crytek also made tons of changes to multiplayer gameplay such as Nanosuit alterations, weapon rebalancing, and tighter vehicle controls. This shooting game takes place during the events of Crysis in year 2020 when ancient alien spacecraft is uncovered on Lingshan Islands, a fictional place found at the Eastern part of the Philippines. The player controls Psycho, which is a member of Raptor Team, the squad of most American soldiers equipped with the latest technology. Crysis Warhead also takes place on the island’s other side wherein Crysis is set and starts after Psycho splits up with Nomad who followed their raid on North Korean harbor. Throughout the game, there are audio clips from 4 years before Crysis Warhead takes place. Such clips show the brief glimpses into how O’Neill failed the evaluation test, which caused the death of several squad mates as can be guessed with the fact that Psycho said “Man Down”. 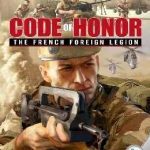 The dead member of the squad could be the nephew the commander of CELL or Crynet Enforcement Local Logistics, Dominic H. Lockhart. The final audio clip shows a brief conversation between Nomad and Psycho at the end of the successful evaluation of Nomad. 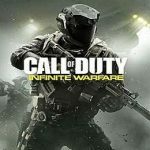 Download Crysis Warhead Today There are other exciting things that you will love about Crysis Warhead. This shooting game will surely filled your day with extreme enjoyment and adventure that other shooting games can’t offer you. So, if you love to download Crysis Warhead for free, don’t hesitate to download the full version of Crysis Warhead and find out how exciting and interesting this shooting game is. As of now, a lot of people love playing Crysis Warhead because of its great features and wonderful gaming experience that it provides. If you are still looking for a shooting game for your PC, Crysis Warhead is a must have. 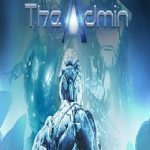 Open “Crysis Warhead” folder, double click on “Setup” and install it. Then double click on “Crysis” icon to play the game. Done!